Vilner cited Duke Ellington’s Nutcracker suite as an inspiration for the album Hanukkah. Vilner liked how Ellington offered a new way to celebrate holiday music that was not fashioned in swing originally. With “Prelude,” the opening track, the band presents the tune in a traditional classical choral arrangement for twelve horns. This song is sung every day of the holiday, right after the lighting of the Hanukkah candles, but here Vilner uses to segue us from classical chorales to the swinging “Maoz Tzur.” With plungers on the brass, and classic voicings and articulations, Vilner’s big band sounds like it was transported right from the 30s. One thing for sure though, the band swings! “Maoz Tzur” certainly was not designed originally to swing this hard, but Vilner knows how to orchestra all the right articulations, rhythmic modifications and embellishments to make it soar in the swing style, ala Ellington for sure! Also, Vilner takes a wonderful alto solo on this selection. “Mi Yemalel” (Who Can Retell?) has a lot of character and shows the band’s considerable ability and Vilner’s diversity as an arranger. The selection starts with Vilner’s call of the shofar, a biblical musical horn used to this day. The shofar motif develops throughout the different sections of the jazz orchestra. On this arrangement, Vilner’s voicings and orchestra colors will remind the listener of classical Gil Evans and his orchestral colors. The band traverses many moods, sections and feels. Telling the story and conveying the musical journey with passion and perfect execution. After the storm comes to a conclusion, with an epilogue that celebrates going back home in a swinging fashion! The piece brings together Middle Eastern rhythms, the Ethiopian Ambassel scale, swing, and the blues. The different elements blend into a story of epic proportions, celebrating multiple voices and sounds. This special piece was selected to be performed at the BMI Jazz Composers Workshop recital judged by Wynton Marsalis, Jimmy Heath, and Alan Ferber, with warm reception. Though titled Hanukkah, I encourage everyone to add this excellent recording to your holiday playlist, it certainly goes well with any holiday classics. Most likely destined to one day be a classic itself. 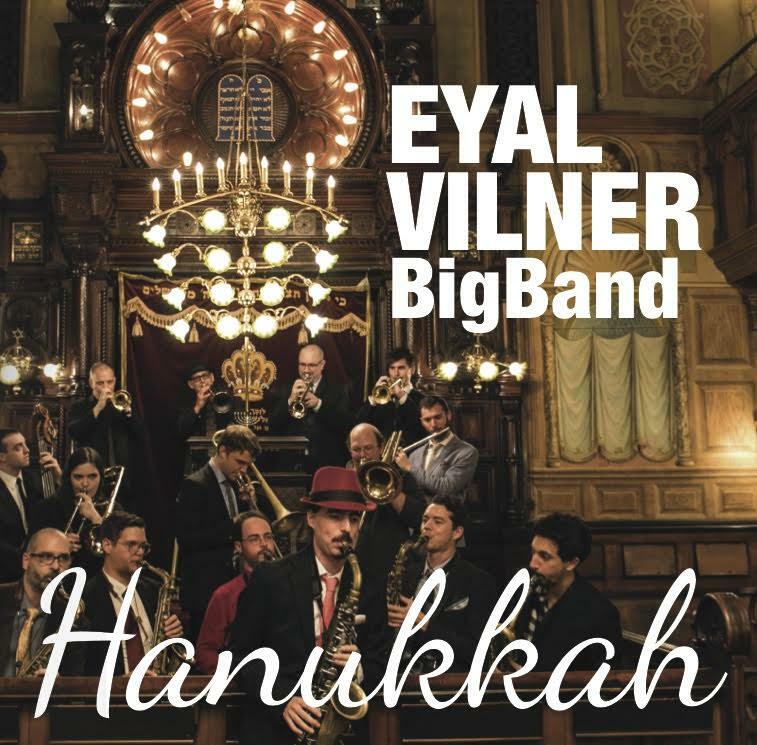 Be the first to comment on "Eyal Vilner Big Band | Hanukkah"